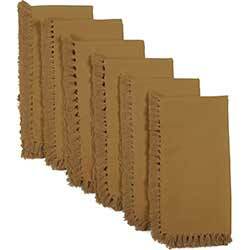 Cloth napkins in solid colors, perfect for entertaining, weddings, or other special events! Add dressy yet relaxed touch to any tabletop setting with these napkins. 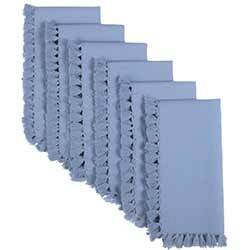 This is for the BLUE napkins, which is a soft cornflower blue cotton fabric. Add dressy yet relaxed touch to any tabletop setting with these napkins. 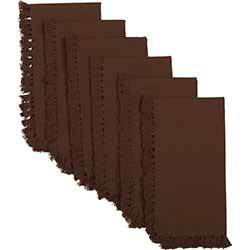 This is for the Burgundy napkins, which is a deep burgundy red cotton fabric. Add dressy yet relaxed touch to any tabletop setting with these napkins. This is for the Creme napkins, which is a creamy ivory cotton fabric. Add dressy yet relaxed touch to any tabletop setting with these napkins. This is for the Gold napkins, which is a dijon mustard cotton fabric. Add dressy yet relaxed touch to any tabletop setting with these napkins. 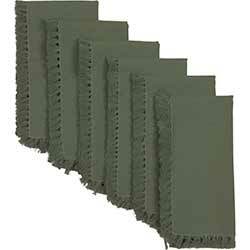 This is for the Green napkins, which is a muted leaf green cotton fabric. 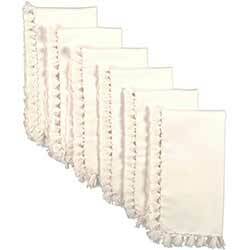 Add dressy yet relaxed touch to any tabletop setting with these napkins. 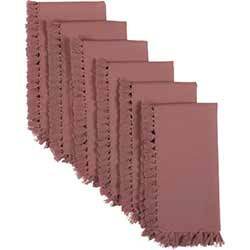 This is for the Mauve napkins, which is a muted grey-pink cotton fabric. Eggplant Essentials Napkin, by Split P. The Essentials Collection is a line of solids made with a woven cotton fabric with a lightly ribbed texture, and hemmed around all sides. 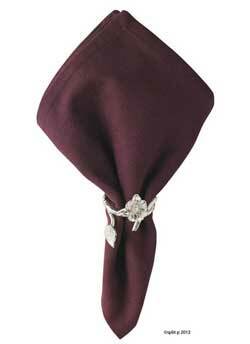 This is for the Napkin in the Eggplant color, which is a deep and rich plum color. Measures 18 x 18 inches. 100% cotton. Machine washable. Matching items also available, plus it coordinates beautifully with Plum Flora and Mirabelle! Split P is a division of Park Designs.